Slyšte, lidé rohanští, - Slyšte toho člověka! Co zažil můj meč a štít. - Hrdina se neleká! 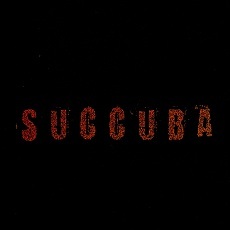 Succuba (* 2001) is a band of which the cofounder and longstanding leading member is Zuzka "Sirentis" Koubková. 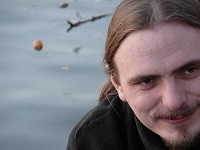 Originally the band was co-founded by Jakub D. Kočí, but after a couple of years and many songs written, he left the band and let it fly in its own waves. The next outstanding persona and big contribution for Succuba was Oldřich "Elfy" Poděbradský. He created new arranges for the Jakub's songs, but after some time he also left. At least ten musicians worked in the band during its existence, some of them for few days, next few months, years, ... Stable ones were Katka Aronová, Jirka "Skeeve" Schlesinger, Mario Čumpelík, Jakub "Doktor" Smolka, Jana "Myja" Francová and Katka Skoupá (hopefully nobody is missing, if so, my apologize ...). Succuba undergone many periods with crucial impact to its repertoire. It still plays original Jakub's songs and sometimes it brings some new ones. It is quite difficult to classify a genre of the band, each new musician brought a piece of himself, which makes Succuba very interesting to listeners. Instead of the oficial new web pages you can still find the original ones on sucuba.sweb.cz, where one can find for example most songs lyrics.